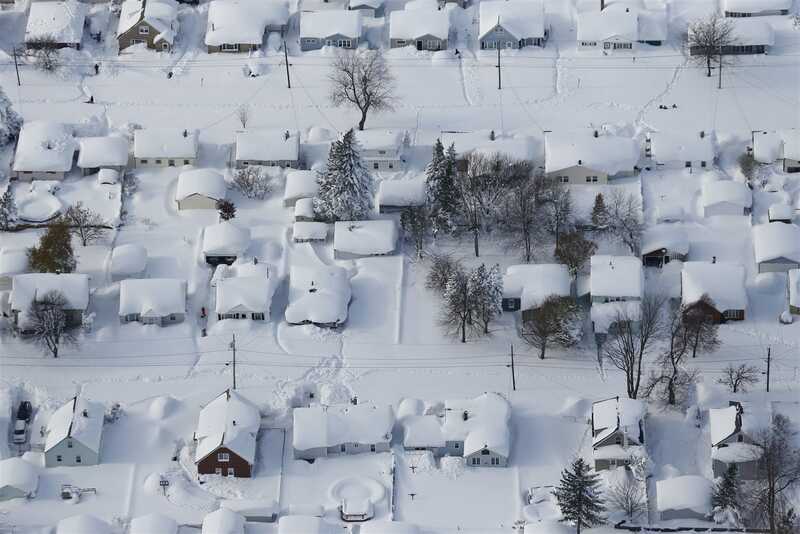 Buffalo’s historic snow storm, dubbed “Winter Storm Knife,” has been blamed for the deaths of at least eight people since it began on Monday, often by cutting off their access to help in emergency situations. 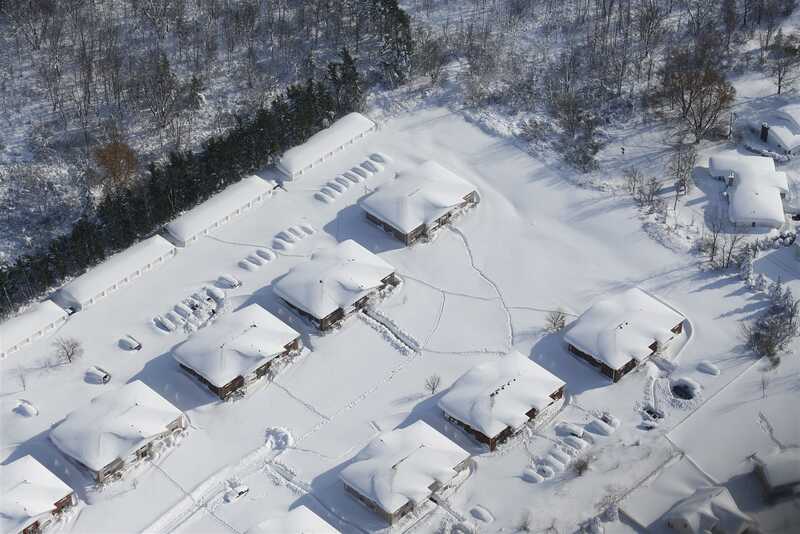 The city in upstate New York typically sees around seven feet of snow throughout its winter; already more than five feet have fallen in just a few days. 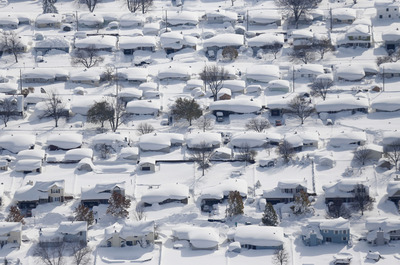 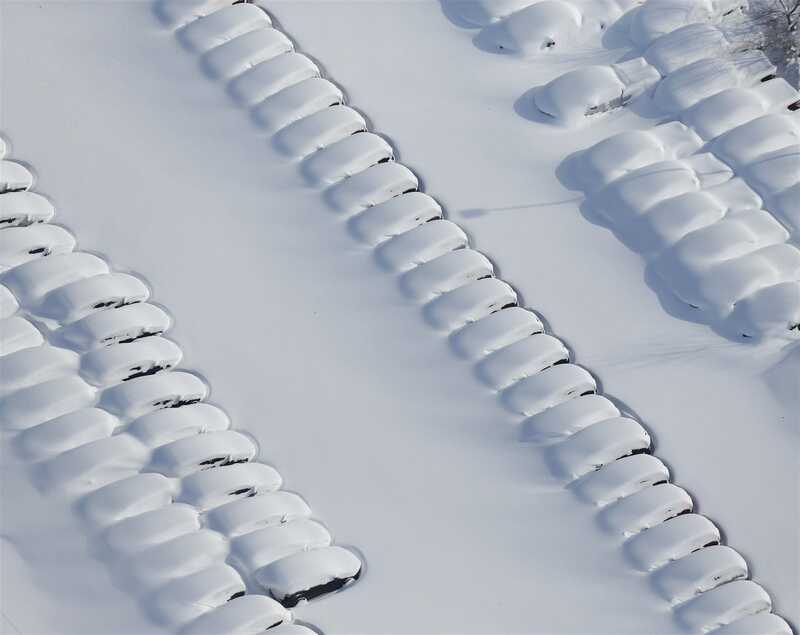 Derek Gee, chief photographer at The Buffalo News, has taken breathtaking aerial photos of the wintry weather’s arresting impact on the area, which we have run with his permission. 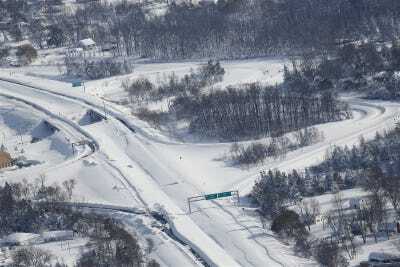 The storm paralysed 140 miles of I-90, the main highway crossing New York State. 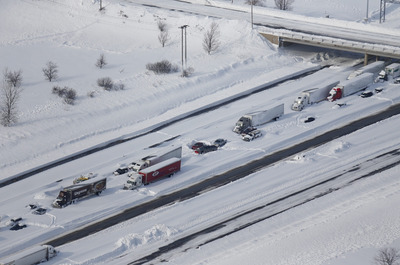 More than 100 drivers were at one time stranded in their cars, some for as long as 36 hours. Emergency crews worked around the clock to free them. Sporting events to have been hosted by home teams in Buffalo were postponed, including Friday’s Sabres (NHL) game and Sunday’s Bills (NFL) game. 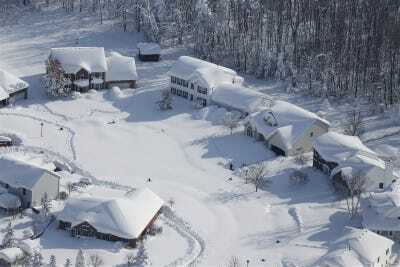 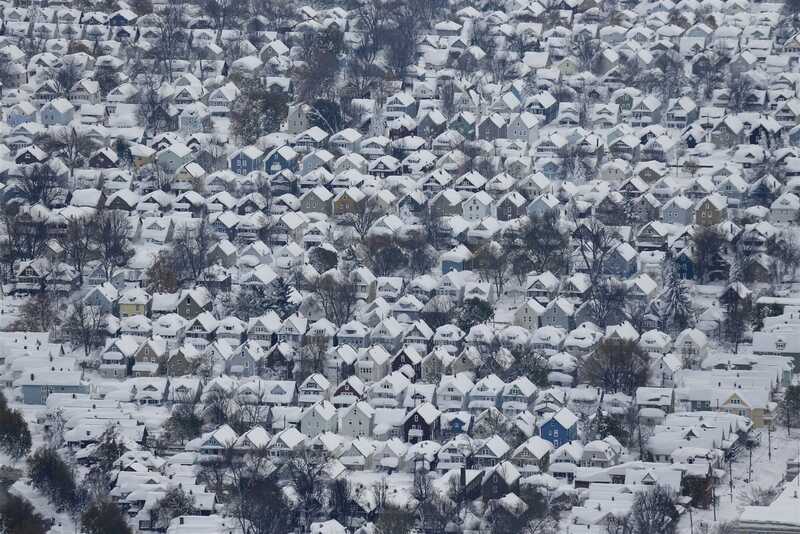 Roofs, porches, and even homes have collapsed under the weight of feet of snow. 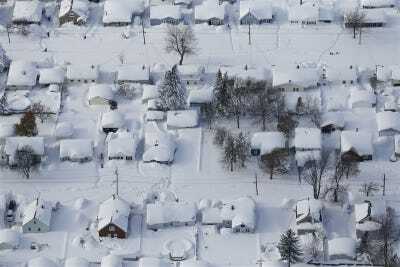 New York State Electric and Gas Corp. reported that 72 customers lost electricity Wednesday night. 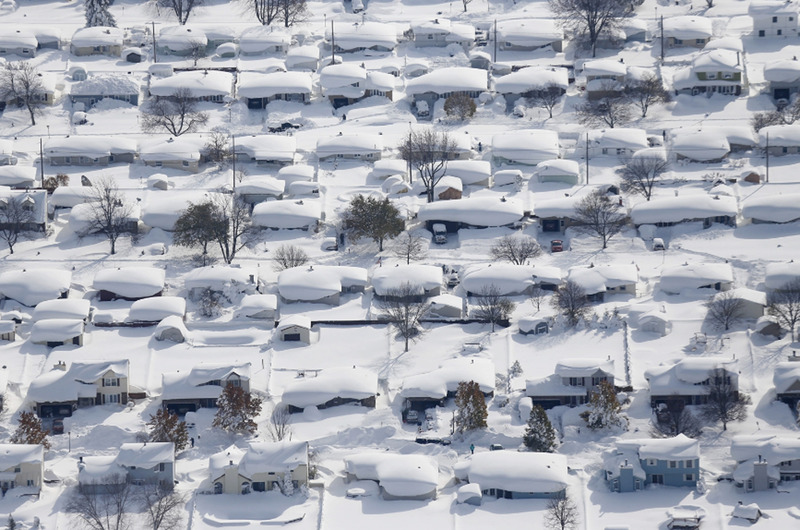 The snow is the result of “thundersnow,” a phenomenon caused when wet air from Lake Erie encounters the colder atmosphere over Buffalo. Wednesday saw some respite in the snowfall, but authorities still received 12 calls from people finding themselves stuck. 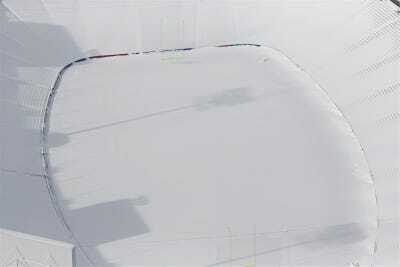 Some emergency calls have been met by authorities using snowmobiles.